Zorb Ball Racers is guaranteed to be the life of the party. 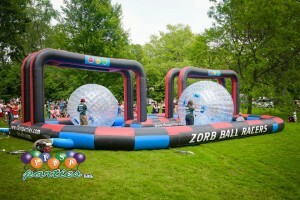 Your guests will be lining up to race each other on the inflatable track. Don’t miss out on the fun rent today!